Doyna Zharavina is the Project Manager for eHealth in Europe, Eastern Europe and Russia. She holds a Master 2 « Health, Population, Public Policy » of the School for Advanced Studies in the Social Sciences of Paris (EHESS). Cyril Frankel is Webmaster, IT consultant, advisor at the Millennia2025 Foundation, and Project Manager for eHealth World. Marie Anne Delahaut, Founding President & CEO of the Millennia2025 Women & Innovation Foundation (PUF), is Director of Research at The Destree Institute, European Research Centre based in Wallonia, Belgium, NGO official partner of UNESCO (consultative status) and in Special consultative status with the United Nations Economic and Social Council (ECOSOC) since 2012. Sylvie Coumel is leading Connecting Nurses at Sanofi Corporate, a unique recognition program for nurses to share innovation related to patient education, practice, research. It is a shift in mindset which highlights the Nurses in Leadership current process as key actors in patient centricity and chronic disease management. 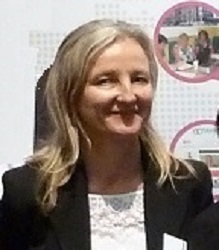 Line Kleinebrel is Vice President of the Université Numérique Mondiale Francophone (UNFM), in Paris France, and advisor for eHealth programs in Diabetes in francophone African countries. Dr Nedia Dissem Frankel, jeune diplômée, médecin tunisien spécialisée en médecine de famille, intéressée par la santé de la mère et de l'enfant. Ancien membre actif au sein de l' IFMSA (International Federation of Medical Student's Associations) en Tunisie, comité SCOPH (Standing Committee on Public Health). 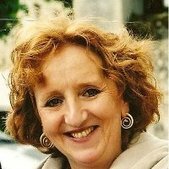 Elle a participé à des campagnes nationales de sensibilisation comme celle pour la promotion et l'encouragement de l'allaitement maternelle, la prévention et la lutte contre le cancer du sein. Lilia Pérez Chavolla has fourteen years of experience in the area of communications, in particular in the analysis of policies, institutional reform, and the performance of the telecommunications sector, working since 2009 as consultant with UN agencies, the International Communicaton Union (ITU) and the World Health Orgainasation (WHO). She is senior advisor in ICT Applications. 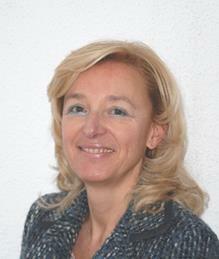 Valeria Carraturo is supporting the research of intelligence MOOCs Commons for Women and eHealth since 2017. Currently, she is the Operations Manager of the Giving Women Association in Geneva, managing and coordinating projects which support women’s and girls’ empowerment. Valeria holds a B.A. in Translation Studies from the Johannes Gutenberg University and is currently acquiring a degree in International Relations at the London School of Economics and Political Science (LSE). Valeria is fluent in 7 languages: German, Spanish, Italian, Catalan, English, French and Russian. Anna M.C. Matranga is an international professional who has worked in the healthcare/pharma industry (within R&D of large pharma & SMEs) for more than 25 years in the UK, France & Germany. She is an independent consultant since 2016 providing “business strategy to operations” support to pharma/biotech/CROs/academia in alliance management, B2B matchmaking, outsourcing/ procurement, contract management and operational excellence. She also provides group and 1:1 training/coaching in diverse subjects such as effective communication, cultural awareness and the management of cultural diversity, effective negotiations, team management, managing risk in your service contracts, vendor quality management and how to optimize the Sponsor/Partner relationship. She holds a PhD in microbiology (Bristol University) and an MBA in general management/finance (Henley Management College) and has obtained certification in alliance management (from ASAP). She has strong experience in alliance/relationship management, leadership, project management, procurement, training, and performance management. She is an alumni member at the universities of Trent, Bristol and Henley management college as well as a member of SIETAR. She is a regular industry speaker at pharma conferences and has also lectured at Business Schools. Anna aims to leverage her business background to provide support to Millennia2025 Women & Innovation Foundation (PUF). Its objective being to increase its international visibility in the healthcare sector via an enhanced cross-sector business approach adapted to the needs of international charity foundations, humanitarian entities, UN agencies and other not-for-profit organisations. Lili Mohadjer is an expert in scientific communication with multiple international experiences. She holds a Ph.D in Pharmaceutical Sciences from the Université Claude Bernard, Lyon 1 in France (1991). She acquired expertise in basic and applied research in the Skin Substitute lab at the Burns center of the Edouard Herriot Hospital in Lyon, where she worked for five years on tissue engineering for burns coverage and in vitro pharmaco-toxicological studies. She worked in the field of drug delivery in 2 private French polymer firms in Lyon (1995-1999), Hospal Gambro and Flamel Technologies, and later joined a french consultancy company, Dodet Biosciences, in Lyon (2004-2005). She collaborates with Millenia2025 Foundation since 2012. Recently, she was invited in Montreal, Sainte-Justine Hospital, to coordinate the RQRM, Quebec network of medicines and drugs, including academic, clinical and Big Pharma actors. She also holds a Master’s degree in Biochemistry and Immunology and a Bachelor’s degree in Biochemistry and Pharmacology from the Université Claude Bernard, Lyon 1, France, and a Ph.D of the Applied Human Virology department at the German Cancer Research Center in Heidelberg, Germany. She is fluent in English, French, Persian and a good level of German. She recieved a 3 years fellowship from Fondation Merieux, one year fellowship from ARC and 2 awards in open competitions for young researchers, IEEE congress, Seattle, 1989. Therese Lethu is a global health specialist with over 20 years of experience working with organisations such as the Global Business Coalition, the French Council of Investors in Africa and the WHO. She has also founded, written in and served as editor in chief to an internationally published health journal Afrique Medicine et Santé. Therese's experiences at the intersection of development and responsible business are now being put toward the development of local platforms of services to advance women's health. She is a strong advocate of the utilization of communication technologies for social impact, and seeks to leverage cross-sector partnerships to advance access to prevention and medical care. Fátima is a Spanish national with extensive international experience in the areas of global health and development with a specialty in eHealth. 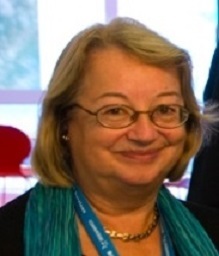 She worked for the World Health Organization (WHO) in Geneva during ten years as project manager coordinating various programs aiming to bring technology to the service of health. Prior to joining the WHO, she worked for the United Nations Volunteers (UNV) in Bonn managing a program to strengthen private sector in developing countries through knowledge and skills sharing. Now based in Zurich, Fátima works as consultant and researcher for private and international organizations in the application of mobile solutions for health in areas including maternal and child health, HIV/AIDS and Ebola. She holds an MBA from the University of Maryland and is currently finalizing a degree in International Health Management at the Swiss Tropical and Public Health Institute. She is fluent in English, French, German and Spanish.